Finally they are here! My new custom-made hearing protectors. 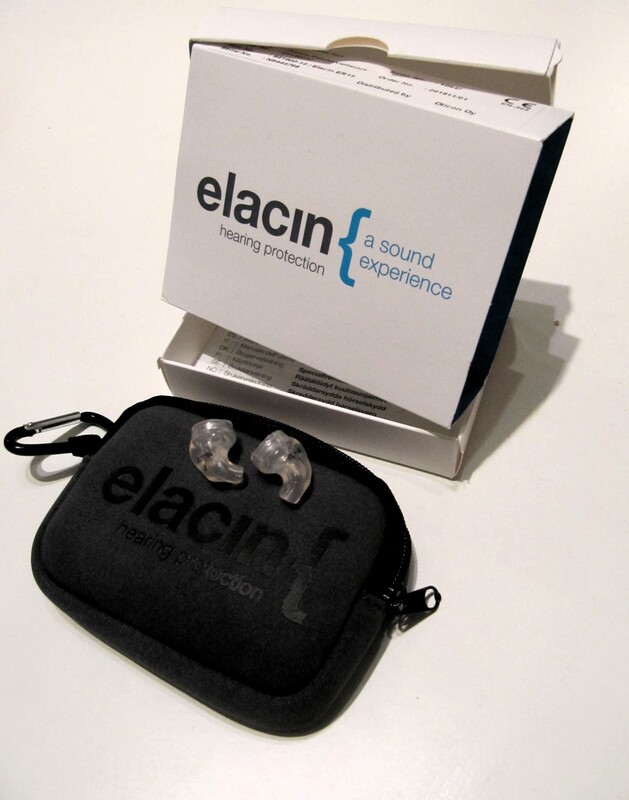 Hearing is one of the most important working tool for a musician. In an orchestra where are many players the decibels rise high fast. Especially for those who are playing just in front of other players. I am happy that the level of my hearing is still fine, but it could be damaged any day and anywhere. Many friends got custom-made ear plugs already during the studies. I was thinking about it but for some reason I just didn’t buy them. Maybe I thought they were quite expensive and only professional musicians would really need them. Now that I play in a wind orchestra I feel that full band playing forte is absolutely too much for my ears. I’ve been using simple yellow foam ear plugs cut in two peaces since my auditory canal is very narrow. I’ve also had Elacin ER20 for several years that we also call “spruce plugs” as the shape is similar to the tree. I’ve been enthusiastic to experiment with my new plugs in rehearsals. They feel different after plugs made out of soft materials. The filter is quite good. I can hear more than with the foam plugs. Anyway there are always the same problems with the hearing protection. First of all, you lose control of your own sound. It is hard to tell if you are playing louder than others and the sound is vibrating through your mouth and head so you don’t get the same sound that is coming out from your instrument. The music is not loud all the time so when you should play really soft and in tune with others you don’t really hear anything else but yourself. This leads me to take at least one of the plugs out of my ear. That can be dangerous while your hearing will adapt again and if there is a sudden loud noise, the hearing could be damaged. Anyway I am happy to have these plugs now and I am quite sure it is possible to learn to play with them. It only takes some time and patience. I always play the E flat clarinet with plugs because the high pitches really hurt my ears. And I never leave to a bar without some ear plugs. Or if I end up in a place with loud music I can use even a tissue to make plugs. Let’s enjoy music and our ability to hear it! This entry was posted in musician's lifestyle on December 1, 2016 by helipauliina.